The racing world is in mourning today following the news that top Irish Amateur jockey JT McNamara has passed away at the age of 41. McNamara was paralysed from the neck down following a fall at the 2013 Cheltenham Festival and it is understood that he passed away following complications. McNamara was considered one of the best amateur jockeys of his generation, as well as one of the finest horsemen in the sport before his accident with 16 winners to his name at Cheltenham. Four of those came at the Festival itself with Rith Dubh (2002), Spot Thedifference (2005), Drombeag (2007) and Teaforthree (2012 all entering in the winners enclosure for McNamara during is brilliant amateur career. 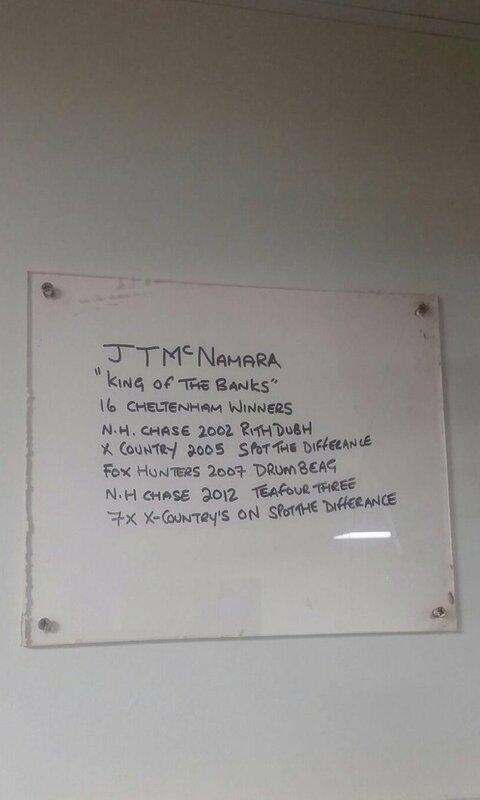 If JT McNamara was booked for a horse in a big race, punters always noticed with trainers always looking for the best in the business when they believed they had a nice horse and he was widely considered as the go to man in that instance. McNamara leaves behind him a wife and three children as well as a host of brilliant memories that won't be forgotten and the racing world on both sides of the Irish Sea has been awash with tributes today on social media. We're devastated at Jackdaws to hear of the passing of JT, the greatest horseman I've ever known. Our thoughts are with Caroline and family.